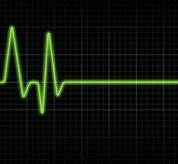 Just kidding..although it is on life support. Sorry for neglecting you, but life ya know? We’re right across from the Hotel Blake. But there’s so much more to do than seeing my pretty face. There’s music, food, books, books-complete-with-authors, food, and food. S’posed to be beautiful this weekend too! LitFest runs through Sunday, so if you can’t make it tomorrow, you can visit after church. In other news, the Chinese have taken over my spam bucket. Knock-off Fauxlex watches, “Mulberry” designer bags, Nikeee shoes, and lots of half-assed Google Translate gibberish. Do you suppose somewhere on a desert island in the South China Sea, there’s a penal colony where the prisoners are forced to spam all day before their evening beatings? Poor Sly. He’s living in a van down by the river. No, really. An object lesson in saving for the future. Maybe I should let my sideburns grow? Um, no. And, cuz I can’t resist…We’re not worthy! We’re not worthy! Previous Previous post: Look at All the Cobwebs!